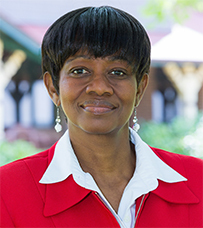 Bernice is Associate Professor of Small Business Management and Accounting. She is a Certified Practicing Accountant and completed the Management Development Program in Harvard in 2010. She has published and supervised higher degree research in the area of small business management, especially human resource management, strategy and finance. Bernice has served as the Conference Chair and Editor of Conference Proceedings for the SEAANZ Annual conference since 2013 and has been a member of SEAANZ and the Editorial Board of Small Enterprise Research for many years. She was involved in the organisation committee for the 2005 SEAANZ conference and the 2006 ICSB conference. Internationalization of higher education: A synthesis of cross-border distance education literature focusing on Africa, 2010, DEHub: Innovation in Distance Education, $7,000, with Dessalegn Mihret. Member, Family Business Roundtable, Australian Centre for Family Business, Bond University 7 July 2006. Kotey B., and Battisti M. (2015). The Digital Economy and its Impact on Australia and New Zealand SMEs. In Kotey B., Mazzarol T., Clark D., McKeown T., and Battisti M. (Eds) (2015), SMEs in the Digital Economy: Surviving the Digital Revolution. Australia: Tilde Uni Press. Dwyer B., and Kotey B. (2015). Barriers to Public Equity Funding for SMEs from the National Stock Exchange of Australia (NSX). In Kotey B., Mazzarol T., Clark D., McKeown T., and Battisti M. (Eds) (2015), SMEs in the Digital Economy: Surviving the Digital Revolution. Australia: Tilde Uni Press. Kotey, B., and Mirhet, D. (2013). Internationalization and Globalization of Higher Education: Implications for Africa’s Higher Education System. Dehub Monograph Series, Dehub Innovation in distance education, University of New England, Armidale, Australia. Boohene, R., and Kotey, B. (2008). Gender Differences in Small Scale Firms. In Ghana In Sarkar S and Mensah John V., Gender and Development: An Afro-Indian Study. New Delhi, India: Arise Publishers. Kotey, B., (2016). Enablers and Barriers to Exit of Regional Small Business Owners in Australia. Australian Geographer, 47(2), 195-214. Kotey, B., and Sharma, B. (2016). Predictors of flexible working arrangement provision in small and medium enterprises (SMEs). International Journal of Human Resource Management. ABDC A (forthcoming). Kotey, B. (2015). Demographic and economic changes in remote Australia. Australia Geographer, 46(2), 183-201, Impact Factor 1.12, ERA B.
Dwyer, B., and Kotey, B. (2015). Financing SME Growth: The role of the National Stock Exchange of Australia (NSX) and business advisors. Australian Accounting Review, 25(2),114-123. Impact Factor 0.825, ABDC B.
Valadkhani, A., Chen, G., and Kotey, B. (2014). Asymmetric changes in Australia’s small business loan rate. Small Business Economics, 14(4), 945-957. Impact Factor 1.55, ABDC A.
Kotey, B., and Rolfe, J. (2014). Demographic and Economic Impact of Mining on Remote Communities in Australia. Resources Policy, 42(4), 65-72. Impact Factor 1.82, ABDC B.
Kotey, B., (2014). Small Business Innovation in the Hostile Environment of Australia’s Drought Stricken Rural Communities. Australasian Journal of Regional Studies, 20(2), 325-350. ERA B. The John Dickson Memorial Award for best article in AJRS 2014. Kotey, B., and Sorensen, T. (2014). Barriers to Small Business Innovation in Rural Australia. Australasian Journal of Regional Studies, 20(3), 405-429. ERA B.
Ahulu, H., Al Farooque, O., and Kotey, B. (2014). Are Social Issues Relegated to the Backburner? An Analysis of CSR Reports of Australia MNEs. Journal of Accounting, Ethics and Public Policy, 15(3). ABDC C.
Kotey, B., Gao, K., and Sharma, B. (2013). The Configuration of Entrepreneurial Strategy in Chinese Small Textile Manufacturing Firms. Journal of New Business Ideas & Trends, 11(1), 1. ABDC C.
Kotey, B., Saini B., and White, L. (2011). Strategies for Employee Learning in Professional Service Firms: A Study of Community Pharmacies in Australia. International Journal of Training Research, 9(3), 234-255. ABDC B.
Ahulu, H., and Kotey, B. (2011). Determinants of Sustainability Reporting: An Analysis of Corporations in Anglo Economies. The International Journal of Environmental, Cultural, Economic and Social Sustainability, 7(2), 271-286. ABDC C.
Boohene, R., and Kotey, B. (2009). The Relationships Among Gender, Strategic Capabilities, and Performance of Small Retail Firms in Ghana. Journal of African Business, 10(1), 121-138. See corrigendum in 10(2), 257. ABDC C.
Boohene, R., Sheridan, A., and Kotey, B. (2008). Gender, Personal Values, Strategies and Small Business Performance: A Ghanaian Case Study. Equal Opportunity International, 27(3), 237-257. ABDC B.
Kotey, B., and Folker, C. (2007). Employee Training: An Examination of Size and Ownership Effects. Journal of Small Business Management, (JSBM) 45(2), 214-238. Impact Factor 1.39. ABDC A.
Kotey, B. (2007). Teaching the Attributes of Venture Teamwork in Tertiary Entrepreneurship Programmes. Education + Training, 49(8/9), 634-655. ERA A*. Kotey, B. (2007). Can the Attributes of Venture Teamwork be Taught in Tertiary Level Entrepreneurship Programs? Small Enterprise Research, 15(2), 52- 67. ABDC C.
Kotey, B. (2006). Entrepreneurship and Regional Development: A Theoretical Framework. Small Enterprise Research, 14(2), 20-45. ABDC C.
Sarapaivanich, N., and Kotey, B. (2006). The Effect of Financial Information Quality of Ability to Access External Funds and Performance of SMEs in Thailand. Journal of Enterprising Culture, 14(3), 219-239. ABDC C.
Kotey, B., and Anderson, P. (2006). Performance of Distance Students in a Small Business Management Course. Education + Training, 48(8/9), 628-642. ERA A*. Kotey, B., and Slade, P. (2005). Formal HRM Practices in Small Growing Firms. Journal of Small Business Management, (JSBM), 42(1), 16-40. Impact Factor 1.39. ABDC A.
Kotey, B. (2005). Are performance differences similar for family and non-family SMEs of all sizes?. International Journal of Entrepreneurial Behaviour and Research, (IJEBR), 11(6), 394-421. ABDC B.
Kotey, B. (2005). Business Goals, Management Practices, and Performance in Family and Non-Family Firms. International Journal of Entrepreneurial Behaviour and Research, (IJEBR) 11(1), 3-24. ABDC B.
Kotey, B., and Anderson, P. (2005). Using Business Simulation in a Small Business Course: An Analysis of Student Performance and Associated Factors. Industry and Higher Education, 19(1), 83-93. ABDC C.
Kotey, B., and Sheridan, A. (2004). Changing HRM practices in small growing firms. Journal of Small Business and Enterprise Development, 11(4), 474-485. ABDC C.
Kotey, B., and O’Donnell, C.J. (2002). Data Envelopment Analysis in SMEs: A study of the Australian Food, Beverage and Tobacco Manufacturing Industry. Small Enterprise Research, The Journal of SEAANZ, 10(2), 3-22. Kotey, B., and Sheridan, A. (2001). Gender and the Practice of HRM in Small Business. Asia-Pacific Journal of Human Resources, 39(3), 23-40. ABDC B.
Kotey, B., Slade, P., and Gadenne, D. (2000). HRM in small firms - an inter-industry comparison. Small Enterprise Research, Journal of SEAANZ, 8(2), 25- 46. ABDC C.
Kotey, B. (1999). Human Resource Management Practices of Sunshine Coast Small Firms with Reference to Prescribed Models. International Journal of Employment Studies, 7(1), 79-104. ABDC C.
Kotey, B. (1999). Debt Financing and Factors Internal to the Business. International Small Business Journal, (ISBJ), 17(3), 11-29. ABDC A.
Kotey, B., and Meredith, G.G. (1997). Relationships Among Owner/manager Personal Values, Business Strategies and Enterprise Performance. Journal of Small Business Management, 35(2), 37-64. Kotey, B., and Brooks, L. (1996). Canonical Correlation Analysis: A Tool for Exploring Relationships in Small Business and Entrepreneurship. Research, Small Enterprise Research, The Journal of SEAANZ, 4(1&2), 27-37. Kotey, B. (1995). Planning, Enterprise Performance and Owner/manager Personal Values. Journal of Enterprising Culture, 3(4), 409-426. ABDC C.
Sorensen A., and Kotey, B. (2011, December). Business Development in Small Rural Service Centres, Building Adaptive Regions. 35th Annual Conference of the Australian and New Zealand Regional Science Association International (ANZRSAI) Canberra, Australia, 6-9 December 2011. Kotey, B. (2010, July). Do collectivist cultures prepare students for teamwork? In Proceedings of the 2010 HERDSA conference, Reshaping Higher Education. Melbourne, Australia, 6-9 July 2010. Ahulu, H., Kotey, B., and Farooque, O.A. (2010, February). Advances in Environmental Reporting among Australian MNEs using GRI Guidelines. 2nd International Conference on Corporate Governance. Sydney, Australia, 7-9 February. Ahulu, H., Kotey.,B., and Farooque, O.A. (2010, November). Are Social Issues Relegated to the Backburner? An analysis of CSR Reports of Australian Companies. Twenty Second Asian-Pacific Conference on International Accounting Issues. Gold Coast, Australia, November 7-10, 2010. Sorensen, T., and Kotey, B. (2009, July). Economic and Social Diversity, New Challenges for Sustainable Rural Development in the 21st Century. In Proceedings of the 17th Annual Colloquium of the IGU Commission on the Sustainability of Rural Systems. Maribor (Slovenia), 13-18 July. Boohene, R., and Kotey, B. (2008, May). Barriers to performance of small female owner/managers in developing economies: a comparative study based on Ghana. International Academy of African Business and Development (IAABD) Conference. 20-24 May 2008. Gainesville, USA: University of Florida. Gao, K.E., and Kotey, B. (2006, October). Innovative Ability in Chinese SMEs: Do Personal Values Matter? West Lake International Conference on Small & Medium Business (WLICSMB2006). 15-17 October, 2006. Hangzhou, China. Boohene, R., Kotey, B., and Sheridan, A. (2006, June). Why do male owner-managers perform better than female owner-managers? An investigation in a transitional economy context. In Proceedings of the 51st ICSB Conference. Melbourne 18-23 June. Bohene, R., Kotey, B., and Folker, C. (2005,June). Explaining Gender Differences in Performance Among Small Business Owners in Ghana. In Proceedings of the International Council of Small Business. Washington. Kotey, B. (2005). Employee Training Strategies in Family and Non-Family Firms. In Proceedings of 2005 USASBE Conference. Indiana Wells, California. Kotey, B., and Anderson, P. (2004). Distance Learning Students Versus Traditional Students in a Business Simulation Exercise. In Proceedings of 2004 USASBE Conference. Dallas. Kotey, B., and Gadenn, D. (2004, September). Explaining Differences in HRM Practices Between Family and Non-family SMEs. In Proceedings of the 2004 SEAANZ conference. QUT, September 6-29. Kotey, B., and O’Donnel, C. (2002, September). Data Envelopment Analysis in SMEs: A Study of the Australian Textile, Fibre, Yarn and Woven Fabric Manufacturing Industry. In Proceedings of the 2002 SEANNZ conference. Adelaide, Australia. Kotey, B. (2000). Small Business in Australia. New England Perspectives, 4, 89-102. Faculty of Business and Law. Kotey, B., and Sheridan, A. (2000, December). Gender Matters: The practice of HRM in Small Firms. In Proceedings of 2000 ANZAM Conference. 3-6 December, Macquarie Graduate School of Management. Kotey, B., and Harker, M. (1998, June). A Proposed Framework for Examining Strategy and Strategy-types in Small Firms. In Proceedings of the 43rd Annual Conference of the International Council of Small Business. Singapore, 8-10 June 1998. Kotey, B. (1997). Debt Finance and Factors Internal to The Business. In Proceedings of the 1997 Conference of the Small Enterprise Association of Australia and New Zealand (SEAANZ) 363-382. Coffs Harbour, NSW Australia. Kotey, B. (1995, June). Owner/Manager Personal Values and Perception of Environmental Variables, Business Strategy and Enterprise Performance. In Proceedings of 40th World Conference of the International Council for Small Business. Sydney, Australia. Kotey, B., and Charmard, J. (1990). Small Business Policies and Programs in Ghana: An Evaluation. In Proceedings of the VII Annual Conference of the International Council of Small Business 239-252. Canada. Sorensen, A., and Kotey, B. (2009). Economic and Social Diversity in Australia’s Cotton-Producing Communities. Journal for Geography, 4(1), 117-128. Kotey, B. (2013). Dataset on Socio-Economic Characteristics of SLAs in Remote Australia. Prepared for Ninti One Limited and the CRC Remote Economic Participation, Project No., CRC-REP 3-501,Part II, Alice Springs, Australia. Kotey, B., and Sorensen, A. (2012). Data to Characterise Remote Australia Part 1. A Report Prepared for Ninti One Limited and the CRC Remote Economic Participation, Project No., CRC-REP 3-501, Part I, Alice Springs, Australia. Kotey, B., Wolfenden J., and Sorensen, A. (2012). Nurturing Small and Medium Enterprises (SMEs): Towards Improved Supportive Business Environments in the Moree and St George LGAs. Cotton Catchment Communities CRC, Project Number: 3 02 03, Narrabri, Australia. Kotey, B., Sorensen, A., and Reavell, R. (2011). Innovative Small Businesses in Cotton Communities. Final Report prepared for the Cotton Catchment Communities CRC, Project No. 3 02 03, Narrabri, Australia. Kotey, B., and Sorenson, T. (2010). Socio-Economic Profiles of Selected Cotton Communities. Report prepared for Cotton Catchment Communities CRC, Project Number: 3 02 03, Narrabri, Australia. Kotey, B., and Sorenson, T. (2009). Factors Influencing Cotton Production. Research Report, Cotton Catchment Communities CRC, Project Number: 3 02 03, Narrabri, Australia. Kotey, B., Sorenson, T., and Reavell, R. (2009). Socio-Economic and Environmental Changes Affecting Cotton Communities. Cotton Catchment Communities CRC, Project Number: 3 02 03, Narrabri, Australia. Kotey, B. (2000). Technology Parks and Business Incubators in the UK. Working Paper Series, School of Accounting, Finance and Entrepreneurship, University of New England, Armidale, Australia.